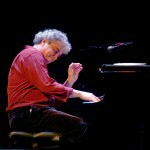 Satiate your hunger for Brazilian Jazz with three-time Latin Grammy nominee Jovino Santos Seto, vocalist Maucha Adnet and Romero Lubambo at Baur’s Listening Lounge on May 3rd. A powerhouse of South American flavors, this trio hand-selected trio soulfully combines classical Brazilian jazz piano, flute and the sultry bossa-nova vocals that listeners have adored for the last century. 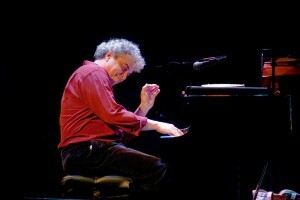 Jovino Santos Neto has worked and performed as a professional pianist, flutist and producer alongside the legendary Hermeto Pascoal in his native Brazil for nearly 15 years before relocating to Seattle in 1993. Since that time, he has released numerous recordings with the likes of Bill Frisell, Gretchen Parlato, Paquito d’Rivera and many others. An inspiring performer, Jovino’s music blends contemporary harmonies with a rich variety of Brazilian rhythmic languages and as a result, he has received three nominations for a Latin Grammy (2004, 2006 and 2009). 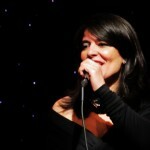 Born in Rio de Janeiro, Brazil, Maucha Adnet started her professional singing career at the age of 15, as a member of Polygram recording group Céu da Boca. Her rich history in music has included performances and album releases with legendary composer Antonio Carlos Jobim and his band Banda Nova. A soulful Brazilian jazz singer, her work can be heard on dozens of recordings including works with Dorival Caymmi, Chico Buarque and Dori Caymmi, and can be heard as the guest vocalist on Randy Brecker’s Grammy Winning CD ‘Into the Sun’. 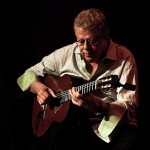 Brazilian jazz guitarist extraordinaire Romero Lubambo brings together the styles & rhythms of his Brazilian heritage with his fluency in jazz to create a distinctive, exciting new sound. From the cool, sophisticated rhythms of his native Brazil to hard bop, Romero is comfortable in any musical setting: an uncommonly gifted soloist and musical improviser with a steady stream of unpredictably creative musical thoughts. A fundraising and gala event for the Music Appreciation Society, the performance will serve to raise money for the people’s piano, a 2001 Steinway Grand Piano which will grace the halls of Baur’s Listening Lounge, and will feature a number of intimate performances throughout the coming year. Ticket pricing is general admission seating first come, first served. However, patrons making donations of $25 or more will have premium reserved seats. An intimate and classic setting for lovers and families alike, a limited number of tickets are on sale now at baursmagic.com. Doors open for Members and Premium ticket holders an hour before the show, and 30 minutes before the show for General Admission.